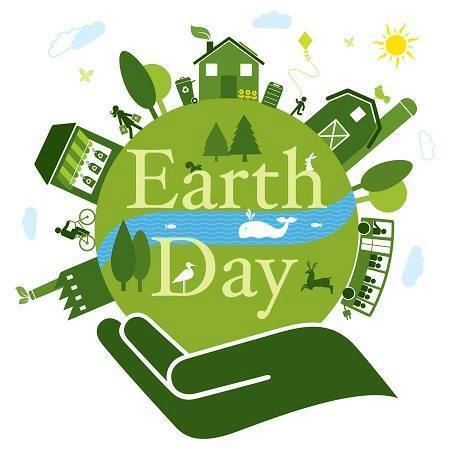 Marion’s Earth Day event is Today! You’re invit­ed to this com­mu­ni­ty event to cel­e­brate Earth Day 2018! There will be plen­ty of fun things going on that will dis­play, pro­mote, and cel­e­brate the Earth and doing our part as stew­ards of the environment! Receive a FREE TREE & Compost! Come & go as you please! This event is free. Did you know that enough plas­tic bot­tles are wast­ed each year to wrap around the earth 190 times? We all want to be more envi­ron­men­tal­ly con­scious and re-use or recy­cle plas­tic bot­tles and what bet­ter way to make use of them than to turn them into some­thing that can be worn over and over again? Make bracelets out of them with the help of an iron! No seri­ous paint­ing or craft­ing skills are required to make a per­son­al­ized bracelet! Join the Mar­i­on Parks Depart­ment team as they plant a tree in hon­or of cel­e­brat­ing the earth and its resources. 6 PM — HOW DOES WATER GET CLEAN? You know what you flush or send down the drain, but what hap­pens to it? Where does it go? See the water treat­ment process up close!